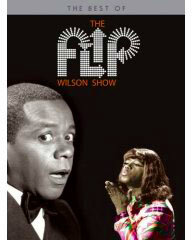 BEST OF THE FLIP WILSON SHOW ON DVD! 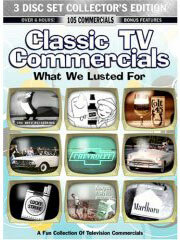 "I've enjoyed the TV stuff loads, but couldn't find all that much about The Flip Wilson Show. Flip seems to be a passing thought in other show's bio's, with none of his own. Keep up the good work"
The Flip Wilson Show was one of the Seventies' most popular and successful variety series, lasting a solid four years. Still, it's almost as if the show slipped from our consciousness as soon as it left the airwaves, very little was written about the man or the series. Perhaps that's because the Flip Wilson led an intensely private life. 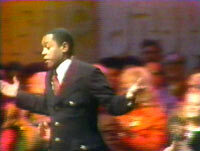 The Flip Wilson Show was the last time a television variety show was successful in focusing solely on one performer - but as popular and beloved as Flip Wilson was, outside of a few of guest-star turns on other variety shows (and a special in 1975) the star was rarely seen on network television after his series left the air. The Flip Wilson Show appeared weekly on Thursday nights at 8:00 on NBC from September 17, 1970 until June 27, 1974 and featured no notable regular supporting players - just Flip Wilson and his stellar guests front and center. 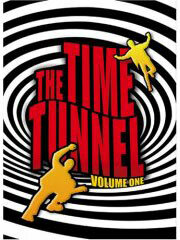 Most of the action took place on a circular stage surrounded by audience members with only the barest scenery. This gave the show a more intimate feeling and put the focus purely on the stars and the material. This series played host to the biggest musical and comedy performers around in the early seventies - a time when movie-star dinosaurs still roamed the Earth. 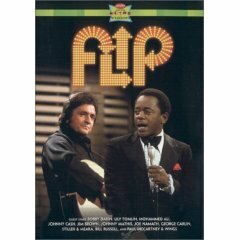 John Wayne, Lucille Ball, Dean Martin, Bing Crosby, Bob Hope, Johnny Carson and almost every other major star was a guest on the show during it's run, and The Flip Wilson Show was the only primetime series where you could find musical guests like Issac Hayes, James Brown and The Temptations. 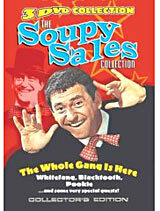 Flip (he got the nickname because he flipped people out with his outlandish stories) was a very well known standup comedian and frequent Tonight Show guest (he was discovered by Johnny Carson and Redd Foxx) when NBC picked him to host a variety hour - and the public took to him, and the series, immediately. 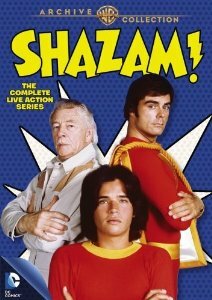 The show was the number-two rated program (after All in the Family) in the nation for the first two years it was on the air - and a solid top twenty show when it left the air. 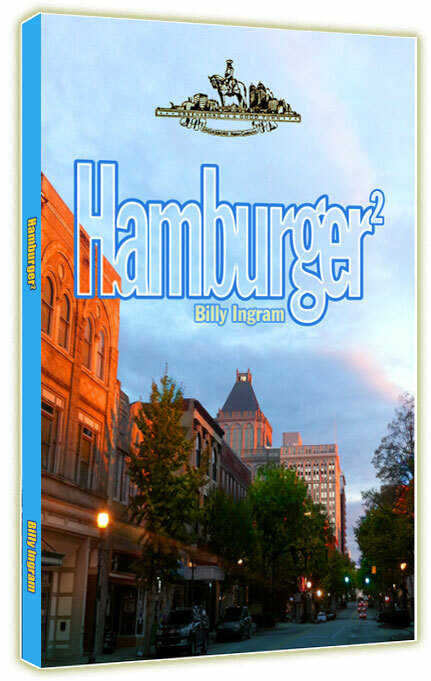 Other popular characters were blue collar Marvin Lattimer, everyman Freddie Johnson, the flamboyant Reverend LeRoy (pastor of the "Church of What's Happenin' Now"), and Sonny, the White House janitor. 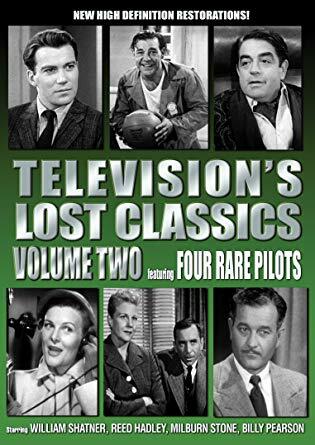 A strong stable of writers and Wilson's tremendous talent and likability destroyed everything the other networks threw against it, and would probably prove to be formidable today (we'll see - the TV Land network just revived the show in half-hour reruns). Wilson wrote about a third of the show himself and supervised the editing of much of the rest. 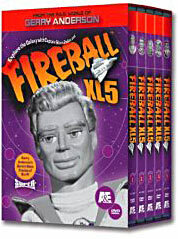 The series stuck to a five day rehearsal and shooting schedule, considerably more intense than the other variety shows, but Flip was focused on making his series a cut above. "Occasionally it takes some time to hit off because we have to find the right approach," Wilson stated in 1972. "But once that happens, we're smokin'." If he was driven, it was because of tough times in the past and a hard struggle through the black nightclubs of the fifties. "With all the trouble black people have," he once stated. "They try to forget on weekends. You've got to be good to make them laugh." 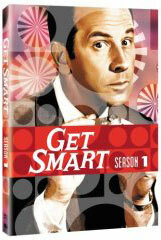 Flip's laws of comedy - "Be sudden, be neat. Be unimpassioned. If you're serious about something, leave it out." It was Flip's Geraldine character that made the phrase "What you see is what you get" famous. That was Wilson's philosophy as well. "My show is my statement," he told Time magazine in 1972. "What I have to say is on the screen. My life is my own. I don't want to talk about my private self. Why should I?" When the The Flip Wilson ended in 1974 (The Waltons on CBS did him in), Flip turned up as a frequent guest on the other variety shows of the era, and on the celebrity golf circuit - then pretty much disappeared from the screens. Lean times followed. 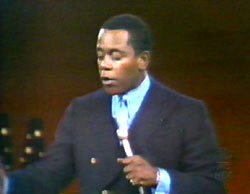 ABC announced they would mount a new Flip Wilson Show for the fall of 1978, either a Jack Benny style variety / sitcom or a comedy set in World War II. A pilot may have been shot but the series never got off the ground. A well-publicized 1981 arrest for cocaine possession was thrown out by the California Supreme court. 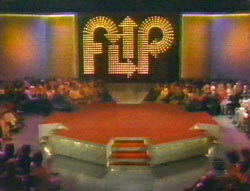 In March of 1984, Flip turned up as the host of a daytime game show on NBC called People are Funny. It was off the air in four months. A year or so later, Flip Wilson turned up (sporting a Hitler-style mustache) as the star of a tedious family sitcom called Charlie and Company, a Cosby Show rip-off that lasted only a few weeks. He retired from show business after that failure to pursue his spiritual interests including meditation and enjoy hot-air ballooning and long ocean cruises. Flip Wilson died in November 25, 1998 in his Malibu home from liver cancer. He was 64. "When I was a little girl, about seven years old, I owned a Flip Wilson doll. It was a soft, talking doll that had Flip on one side and Geraldine on the other. I thought it was the coolest toy I ever owned! What I wouldn't give to still have it. That doll was the only doll I ever owned, I liked robots and trains..."
Reverend Leroy from the first show. 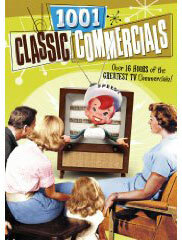 (from the 1969 special that led to the series). Clip of Geraldine with Bing Crosby. "Flip Wilson was one of the greatest performers ever. 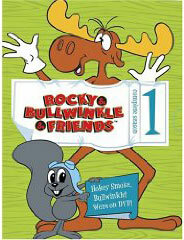 We watched his show and Geraldine was my all time favorite. I could never understand why we never saw or heard more about Flip. Seeing the notice of his death is a real shocker and I am so sorry. My deepest sympathy to all of his family and close friends. Goodbye Flip. "What you see, is what you get." "On the Flip Wilson Show page it's pointed out that Geraldine popularized the phrase "what you see is what you get." 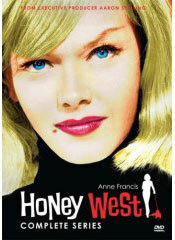 Therefore, can not a claim can be made that Geraldine coined the PC term WYSIWYG?" "I too thought the Flip Wilson Show was one of the funniest shows on TV and watched it every time it was on (and I was not off to war or doing something else to defend our country and way of life). I bought "The Devil Made Me Buy This Dress" on 8 track and wore it out - I would buy it even now but can't find it anywhere. That's how I happened to find your site, but thanks for the memories. I'm currently in Germany and heard that the Flip Wilson Show was on cable, but since we don't get it here I can only hope that they are still on when we get back. 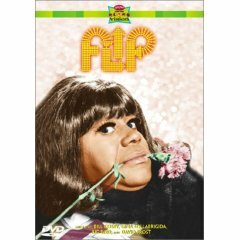 Anyway, if you are in contact with Flip Wilson tell him he still has many fans who appreciated the work he put into his craft and the quality of the product he presented. 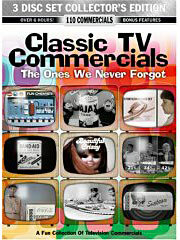 I still laugh just thinking about the shows I remember." "I remember from my early childhood, a Flip Wilson one-time animated special that had his most popular characters as adolescents. He was a foster child that did not like his new home environment, and Geraldine ran a kissing booth that had a line a mile long. It was funny but there were also some serious issues (foster children) dealt with. Also I can recall little Flip in a closet, or a basement, or an attic. This is boggling my mind. Am I an idiot that had a dream as a child of a cartoon Flip or what?" "I saw on your site that someone was asking about a Flip Wilson cartoon, which is indeed real as I remember it too. I think there was a scene where Flip went into, or was put into, a dark basement that scared him. There was also a part with Geraldine running a kissing booth, and Flip only had half the price of a kiss. Geraldine said, "For that, you can only touch", but Flip grabbed her and kissed her anyway. The climax had Flip dress up like Geraldine in order to fill in for her in a school play (playing a nurse) after she came down with measles and couldn't go on. Apparently this was based on a true event in the real Flip Wilson's life where he dressed in drag to perform in a school play, replacing a sick female classmate. Wilson has said in interviews that he got the idea for the Geraldine character partly from that first drag experience. 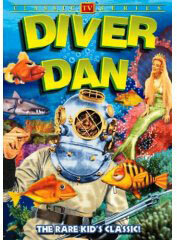 The only thing I can't remember about the cartoon was whether it ran as a kids special in the evening prime time hours, or whether it ran as one of the "Saturday Superstar Movies" on Saturday morning. Still, I'm pretty sure I saw it more than once." "Several people asked about the animated special. It was titled "Clerow Wilson and the Miracle of P.S. 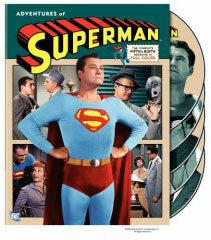 14" and featured characters he played in the variety series as well as characters from his childhood in Jersey City. Interestingly, a teacher portrayed in the cartoon as ugly and gruff later sued Flip for the portrayal. Everyone he knew in Jersey City had had her for a teacher and he was convinced, in the 70's, that she had to have been deceased. He settled gladly out of court. The point of the cartoon was the Statue of Liberty has its back to Jersey City and the teacher told her students, including little Clerow (Flip's real name) that if they ever accomplished anything in life, the Statue of Liberty would turn around and face Jersey City. In the cartoon it did. 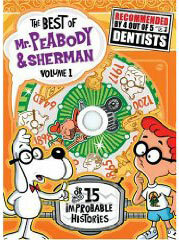 The cartoon was produced by DePatie-Freleng and the drawings were down by Friz Freleng. 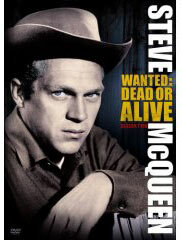 There was a second show produced titled 'Clerow Wilson's Great Escape.'"